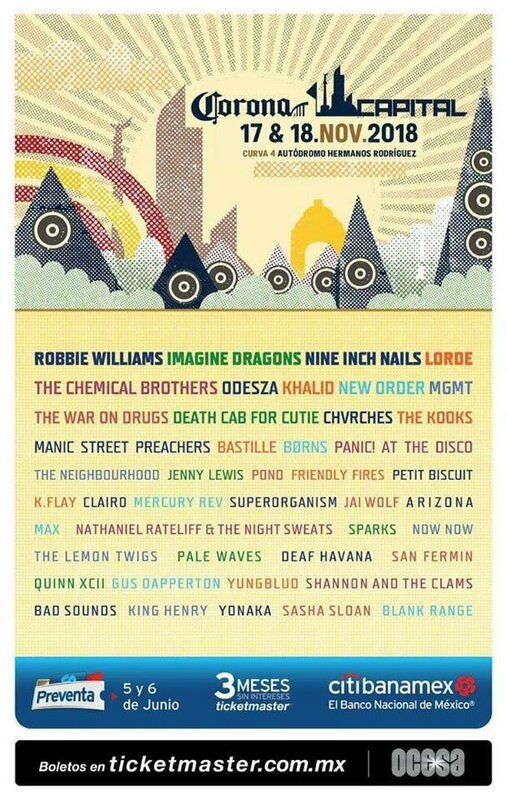 Quick question; So if I make a gofundpage to go see the Manics in Mexico and eat a lot of tacos and stuff, you will all pay for me to go right? Brilliant. I'll get it setup then. Hahah Might raise some eyebrows on arrival at the airport. Feeling so hopeful now that there is some substance to the November rumor! If there are dates added in the US, I can only hope it's before Mexico since travel around American Thanksgiving in later November is $$$$$. I am prepared to travel as far as LA for actual gigs and will save my vacation days in case there is a tour but a festival isn't for me. Surely we will be blessed with a gig in YYZ? If they come to the US, you can rest assured East Coast dates will be among them (and I gotta believe Toronto will be included...they almost always play there when they tour NA). The past 2 NA tours have included the East Coast and at least one of them included Toronto, if not both. You should be fine! I'm already super hype as this will be possibly the 3rd time in 10 years they've come here. It's hard to believe that such a big band in the UK so rarely ever tours the US/CA, but such is life for us NA Manics fans. Prior to the JFPL tour, they had not been to the US since I think 1998/1999 for TIMTTMY. That's simply incredible...far smaller bands come to the US with much more frequency. Anyway, I think there's no way they go to Mexico and not play at least a few shows in the US (East/West Coast). Yes, I saw the 1999 gig in Toronto and missed the 2009 one... I swear it wasn't promoted at all: I was very in-tune with local stuff in those days and didn't hear about it until a fortnight later. Even now, I feel nauseous with regret for missing that tour. They should make it up to LA - they're last show here (for Holy Bible reunion), was sold out at a far bigger venue than their show in LA previous to that (for Journal), which was smaller and didn't sell out. I think this could be even bigger for them! Apparently they've been removed from the bill for this festival. Did the band officially confirm that they were playing this in the first place? I know there was a rumour of a US tour later this year, so perhaps this has fallen through and led to this cancellation?